These solution providers can help you get started with Alexa for Business in your organization. Software providers can build Alexa Skills that work with their applications. These can be public skills, available in the Alexa Skills Store, or private skills, which you can make available only to users and devices in your Alexa for Business account. Software providers can also publish reference guides and code snippets, which you can then customize and use as private skills. Concur takes you beyond automation to a completely connected spend management solution that grows along with your business. With Concur’s skill from Concur Labs, you can ask Amazon Echo about upcoming business flights, hotels, and transportation. Simply link Concur and your Alexa for Business accounts to access the details you need to prep for your next trip. For example, say, “Alexa, ask Concur: When is my next business trip? What time does my flight leave?” and you’ll get real-time responses based on your latest bookings. Please note: this skill is currently only available as a private beta. Obindo is an AI-based knowledge discovery assistant that helps each employee in your organization find who and what they need. Obindo helps new employees onboard more quickly. It empowers experienced employees to make an even greater impact. And it enables everyone to both contribute to and leverage the organic, institutional knowledge that gets created in your company every day. With Obindo for Alexa, employees can get answer to questions like: "Who can help me with this marketing presentation?" or "Where do we keep our design templates?" Salesforce is the world’s #1 Customer Relationship Management (CRM) platform. Its cloud-based applications for sales, service, and marketing are all integrated on one platform to provide a single view of the customer. With Salesforce, you can connect to your customers in a whole new way. Salesforce is leveraging Alexa Skills to make it easy for users to access Einstein Analytics, Insights and other Salesforce capabilities. ServiceNow makes work better. Our applications automate, predict, digitize and optimize business processes across IT, Customer Service, Security Operations, HR and more. This white paper provides an overview of how to build and integrate Alexa Skills with the ServiceNow platform so that enterprise users can use Alexa to interact with ServiceNow IT Service Management. Splunk makes it simple to collect, analyze and act upon the untapped value of the big data generated by your applications, IT infrastructure, security systems, and IoT devices—giving you the insights to drive operational performance and business results. As an Alexa for Business launch partner, Splunk has introduced “Ask Splunk”, a conversational way for users to ask meaningful questions about data in Splunk. Developed on Splunk’s natural language platform for data, “Ask Splunk” builds on the Alexa skill and empowers users to get results without having to learn any specific syntax or understand the structure of the data they are analyzing. Operational data inquiries can now be made throughout an organization by sales, service and marketing departments with little to no formal training, making it even easier for an entire organization to make data-driven decisions that impact customer success, bottom line and infrastructure health. Tact.ai changes how salespeople work at Fortune 500 customers like GE, Cisco Systems, Kelly Services and others by delivering the first omnichannel AI-powered digital assistant for sales teams. The Skill unlocks the Tact Sales Assistant on any Alexa-powered device, bringing together customer data scattered across email, calendar, CRM, LinkedIn, Zendesk and other legacy systems. Whether in your office, home, open floor or shared workspace, Tact for Alexa provides contextual insights and the type of frictionless experience that drives greater sales productivity, higher win rates, and faster sales cycles. Conferencing providers offer video conferencing equipment, applications, and services, that work with Alexa for Business. Amazon Chime is a secure, real-time, communications service that simplifies video conferencing, online meetings, calls and chat. Alexa for Business works with Amazon Chime to let users join meetings using their voice in large conference rooms and small huddle rooms. Amazon Chime users can also ask Alexa to automatically dial into meetings from their desk, or any device in their personal Alexa account. Cisco is a leader in collaboration solutions for unified communications, customer care, conferencing and collaboration endpoints. Alexa for Business integrates with Cisco WebEx as well as Cisco conference room systems including Cisco Telepresence SX, MX, DX Series and Cisco WebEx Room Series. Crestron collaboration and conference room technology includes audio, video, lighting and shade control, thermostats, room scheduling, and data reporting to increase workflow and uptime, and to provide greater comfort and convenience. With Alexa for Business, Crestron makes it easier than ever to use conference room technology with simple, conversational voice commands. You can say things like “Alexa, start my meeting” and “Alexa, end my meeting.” Now, meetings start on time and people can focus on their work. Poly is a leader in business communications solutions, providing flexible collaboration solutions. With Alexa for Business, customers can use their existing Poly Group Series devices, along with an Alexa device, to join video conferences and meetings and control their devices by using their voice. RingCentral provides global enterprise cloud communications and collaboration solutions, unifying voice, video, team messaging and collaboration, and integrated contact center solutions. With Alexa for Business, RingCentral customers can reduce the friction of starting and managing online meetings or conference calls by using Alexa. This unique capability empowers users to naturally interface with RingCentral solutions using simple voice commands through Alexa, including start calls, send text messages, listen to voicemails, and join web meetings. Teem gives you the intelligent tools and powerful analytics you need to optimize your most valuable resources in the workplace: people, spaces, and technology. From matching employees with the perfect meeting room to offering streamlined visitor management, this cloud-based software brings the physical and digital worlds together to provide organizations with the best workplace experience possible. Teem has built Alexa Skills that work with their software that let you find and book nearby conference rooms, and extend your existing conference room booking if necessary. Vonage provides cloud communications services to deliver better business outcomes to customers by enabling businesses to be more productive every day from anywhere. Vonage already offers Amazon Chime Pro to its business customers, who can now also use Alexa for Business to start meetings instantly with a single voice command. Vonage helps customer deploy and manage Amazon Echo devices to use with Alexa for Business in small meeting rooms and large conference rooms. Zoom is an enterprise video communications company, with an easy, reliable platform for video and audio conferencing, chat, and webinars across mobile, desktop, telephone, and room systems. Users of Zoom Rooms, Zoom's software-based conference room system, can use Alexa to start, join, and end meetings with voice commands to their Alexa device. Likewise, users of Polycom or Cisco traditional room systems can also easily host or join a Zoom meeting using simple Alexa voice commands and Zoom's H.323/SIP Connector. Room booking solution providers offer meeting room booking solutions that work with Alexa for Business. Joan is an e-ink, fully wireless solution that allows customers to efficiently manage spaces. Meeting rooms, co-working spaces, desks, conference rooms, and virtually any space that can be booked can also be managed with Joan. Joan connects to all major email clients and provides a weekly analytics report that helps managers keep track of the spaces within the company to maximize efficiency. The integration with Alexa for Business allows users to book a meeting room on the spot, reserve it for later, or find out if it is free by using only their voice. Robin modernizes the open office by helping employees secure the ideal space and resources for whatever project they’re working on at any given time, while equipping facilities leaders with the insights they need to continually optimize the workplace. 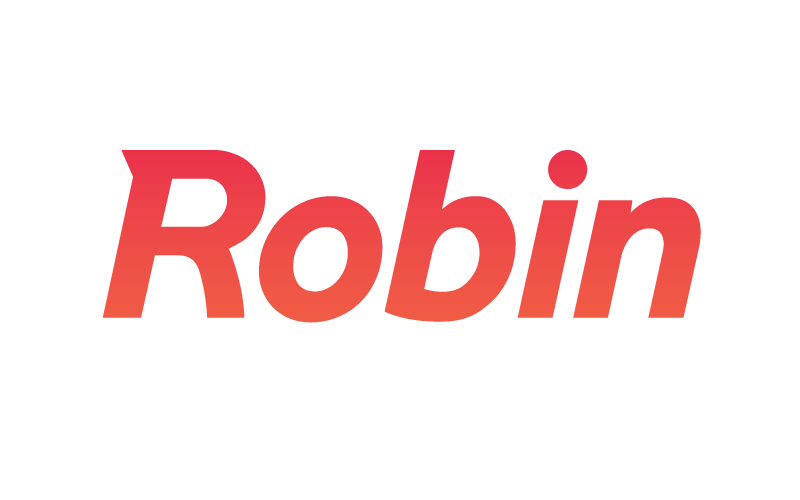 Together with Alexa for Business, Robin helps brings the ease of voice-controlled room scheduling to activity-based work environments. Consulting providers can help you deploy Alexa to your organization, and configure Alexa for Business for you. 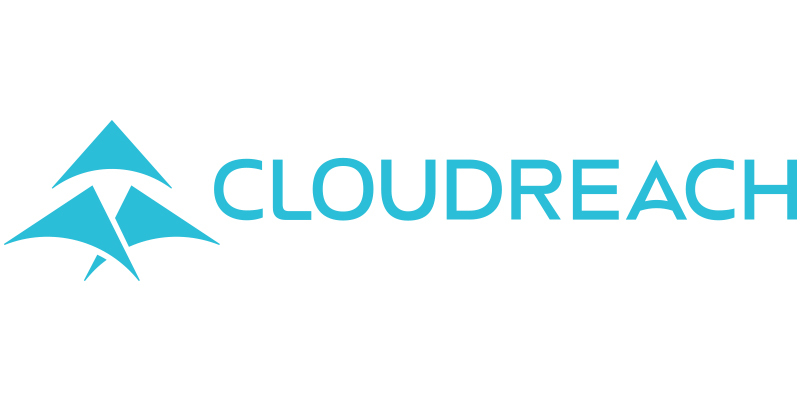 ClearScale is an AWS Premier Consulting Partner who focuses on serverless application development and complex integrations with an emphasis on Alexa for Business. Our core competency is delivering custom applications and Alexa Skills for clients who have limited cloud expertise or resources. iOLAP is a big-data and advanced-analytics consultancy with more than two decades of experience. iOLAP builds custom skills that deliver voice access for employees and customers to your applications from devices like the Amazon Echo, or our mobile application. iOLAP’s newest offering, Enterprise Voice, integrates corporate data and security with Alexa for Business. With Enterprise Voice, you can query data and perform calculations on the fly, call up written reports and video, write data back to applications, and send notifications via text or email. Recognized by Amazon for our voice expertise, Mobiquity's Global Lab for Amazon Alexa designs, builds, and optimizes voice solutions for the enterprise leveraging Alexa for Business. We deliver easy-to-manage solutions that innovate the customer experience and re-envision engagement. OST designs, builds and manages IoT, mobile, Alexa and AWS cloud solutions for global brands. OST can help develop a strategy for implementing voice interfaces in your organization. OST can help you plan and deploy Alexa for Business in your organization, as well as build custom Alexa Skills. A long-standing AWS Premier Consulting Partner and Managed Services Partner, REAN Cloud is an enterprise-grade, public cloud infrastructure MSP. REAN Cloud helps enterprise customers operating in some of the most highly regulated environments build custom voice applications using Alexa for Business, allowing customers to be more productive and changing the way they interact with applications they rely on to get their work done. Slalom helps clients design, build, migrate, and manage their AWS deployments to reduce complexity and maximize value. Our expertise extends across next-generation infrastructure, custom development, advanced analytics, enterprise data management to building custom Alexa Skills for the enterprise. Volara provides custom voice-based solutions to the hospitality industry that enable hotel staff to easily manage voice interactions on their property in real time, and empower guests to access hotel services through a common frictionless invocation. Volara provides a fully integrated and easily customized solution for hotel guest rooms that works with Alexa for Business. To find companies with expertise in developing Alexa Skills, please see the list of agencies here. Are you interested in listing your Alexa for Business solution? APN Partners interested in listing their Alexa for Business product or solution must have achieved the Alexa for Business Service Delivery Designation through the AWS Service Delivery Program. Note: All solutions on the Alexa for Business solutions webpages are created, sold, and implemented by the third party.